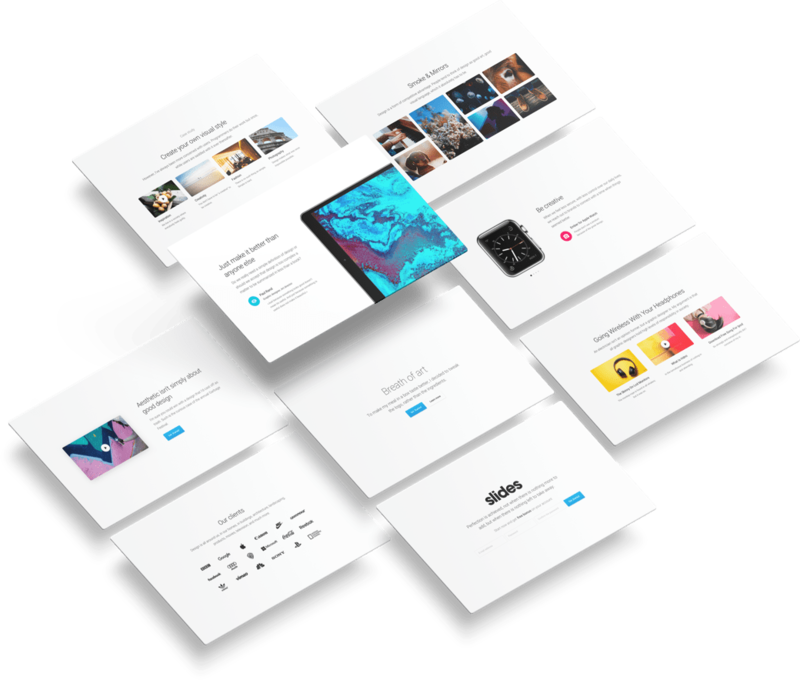 Huge pack of design resources, which we created while developing Slides Framework 4. Every element was crafted with love to speed up your workflow. You are allowed to use these blocks anywhere you want (CC 4.0). We used free Roboto Font, so you can use them too for free! Prototype your next project using InVision, Sketch, Figma, Marvel or UXPin. Stunning slides in the same style that you can combine like puzzle pieces.